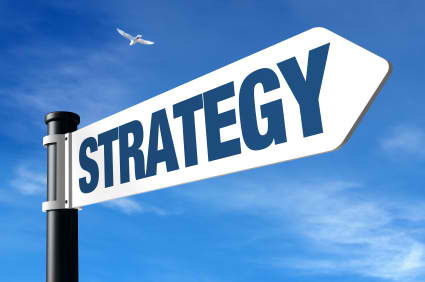 What Is Your Bidding Strategy? | Get Your Business to Work! ← Can customers really tell the difference between your company’s bid proposal and your competitors? – How will you decide when not to bid a job? 2. Number of other bidders? 3. Who have they awarded the last several jobs to? 4. Chances the job will be built? 5. Does the job have funding? 6. Can you present you bid in person? 7. How will the bids be reviewed? 8. Can you get a meeting after your proposal? 9. What is the most important selection criteria? 10. Who makes the final decision? 11. If all else is equal, what are the chances we have to be awarded the job? The main purpose of every bid is to get a meeting with your potential customer. Think of your bid as bait to get a customer to bite by calling you and ask you to meet and present your proposal in person. Without a meeting, you proposal looks like the others, just a list of items on paper with a price attached to it. In a meeting, you can discuss the inclusions, exclusions, price, and present what your company will do for your customer that your competitor doesn’t offer. Remember, the purpose of your bid is to entice your customer to meet face to face with you and your project team. At the meeting, your role changes from just another contractor reviewing their bid to a producer of a dynamic presentation that sells the many reasons why they should only consider hiring your company. There are many ways to entice customers to meet with you. Giving them a reason to meet is an most important concept to grasp. Make a list of five reasons customers need to meet with your company after you present your bid. Constantly call them to ask for meetings. Leave messages like these: “Regarding the bid we submitted last week, I have a way we can save you money, finish faster, make your job easier, improve the quality at no extra cost, give you better payment terms, help you with supervision, do more for less, etc.” If you can’t give customers a reason to meet with you, you can only hope your low bid is low enough to win a contract. Winning contracts at your price is not easy. It takes more work than it used to. Now you must also sell and present your company as the best choice. This takes a restructuring of your time and commitment to excellence. Learn how to upgrade you presentation, improve your proposal, be more aggressive with follow-up, and don’t take ‘no’ for an answer. 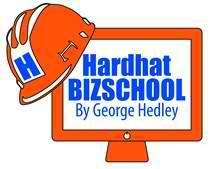 This entry was posted in Bids, Building Your Business, Business Coaching, Business Opportunities, Business Plan, business strategies, HardHat Presentations, Profit Builder Circle and tagged bid strategy, bidding, follow up, negotiate. Bookmark the permalink.